OSWEGO – Oswego Health Cardiologist Thomas Grady Jr., MD, will be the guest speaker at an Ask the Doctor presentation to be held at 6 p.m. on Feb. 23 in the Riverside Room at GS Steamers in Oswego. During his latest Ask the Doctor program, Dr. Grady will discuss how to be heart healthy. Dr. Grady’s past programs on heart-related issues have been very informative and educational. 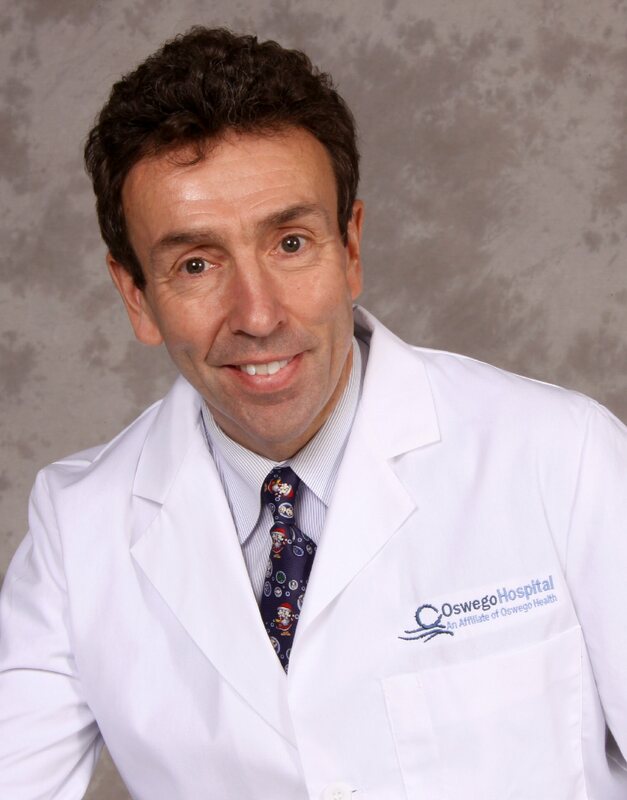 An accomplished physician in his specialty and affiliated with SJH Cardiology Associates, Dr. Grady is providing care to Oswego Hospital patients and has office hours for community members in suite 280 of the Oswego Health Services Center. He can be reached at 349-5752. Dr. Grady earned his undergraduate degree from the College of Holy Cross in Worcester, Mass., and attended medical school at Tufts University School of Medicine. At Tufts, he was presented several major awards including the Zarren Family Award for Excellence in Clinical Cardiology and the Hewlett Packard Award for Excellence in Internal Medicine. He also served as president of Alpha Omega Alpha, an honor society for medical students and was the college’s representative to the American Heart Association. Following medical school, he served in the U.S. Navy where he completed his first internship. After his honorable discharge, Dr. Grady completed his internship and residency training at Duke University Medical Center. He fulfilled his fellowship at the prestigious Cleveland Clinic Foundation. “This was a great experience where I worked alongside cutting-edge technology and individuals who were the best in their fields,” Dr. Grady said. He is a Fellow of the American College of Cardiology and a member of the American Society of Nuclear Cardiology and the American Heart Association. The Ask The Doctor Forum is designed to create an open dialogue between health care providers/professionals and interested members of the greater Oswego County community. Reservations are encouraged by calling 349-5500.